Is Wind Damage Really Covered by Insurance? Just like hail damage or if a tree hit your roof, wind damage is not only covered by your insurance company but it will not cause your premiums to rise. This is due to the fact that these types of claims are considered to be an “Act of God,” meaning the homeowner is not at fault. If your son accidentally left the sink running and it floods the upstairs bathroom, that is a preventable claim. 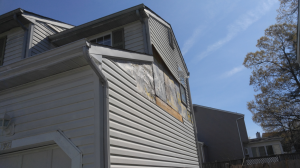 With wind damage, there is nothing a homeowner could have done to be more proactive or prevent damage from occurring. Why pay out-of-pocket when you already pay for your insurance? Wind damage often looks unassuming. After all, how hard can it be to nail back one or two shingles or refasten a piece of siding? The truth is, the cost of even a minor repair can be expensive, typically costing anywhere from $800-$2k depending. You want to be sure to use a properly licensed, insured and experienced contractor and you always get what you pay for. You could cost yourself more in the long run by cutting corners or working with the wrong contractor just to save a few bucks. 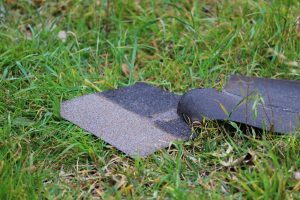 Even more to consider, roofs most susceptible to wind damage are older ones with 3-tab shingles. 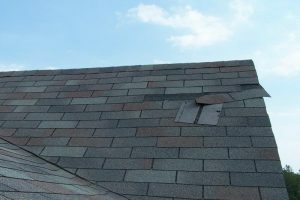 These roofs do not hold repairs and patches well as they are just older and weaker. The money you spend on repairs every year will far outweigh the cost of your deductible, which you would only pay once and have peace of mind for the next 25-years (50-years if you upgrade to an HD shingle). It seems silly to keep repairing something when for the same amount of money you could completely replace your roof. This is the most economical option long-term and truly the smartest. Wind damage is not something to underestimate. Unsure if you have damage? Considering filing an insurance claim? Contact us or give us a call at 410-569-1732. We are happy to explain the insurance process or give you our professional opinion!